Blue Line Blog — Blue Line Sandwich Co.
Everyone always asks “does he cook at home”? Now that Brad is home for dinner the answer is undoubtedly YES! Of course he does, cooking utterly intimidates me and I’m terrible at it. That being said I decided my new year’s resolution would be to cook once a week. I figured with a chef in the house how much can really go wrong right? So here’s my first stab…a chef-inspired stir-fry. So, first thing’s first, we have some extra rotisserie chicken in the fridge, some Italian sausage and heaps of veggies from Brad’s cooking earlier in the week. I also have some Uncle Ben’s microwavable wild rice in the pantry. Do not be fooled, I did not look around my kitchen at these ingredients and think “I’ll make a stir-fry”…It was 100% Brad’s suggestion and it sounded like something I could tackle. Y’all, this was stupid easy. 3. Next: Everything else. We had garlic (2 cloves), green and red peppers, celery, cauliflower, and a frozen bag of peas, but you could put ANY veggies in here. 4. This was all of the uncooked stuff, once that all looked like it was cooked enough to not be raw we threw in the cooked stuff – enter Uncle Ben’s microwave rice and the leftover rotisserie chicken. 5. Add some flavor: Salt, tiny bit of sesame oil, and some stir-fry sauce from Rouses. 6. Finally - the fancy part. Once it’s all mixed together and ready to serve, make a circle in the middle and crack an egg or two. Let it cook sunny side up until the yolk is cooked then stir it in. Ta Da! I just made stir fry. What I love about this is how simple it was and that literally any protein or veggie could be substituted depending on what you have in the house. Blue Line was featured on Eater Nola's Brunch Heat Map! “I’d like my eggs over easy but not runny…” While most people know in their minds how they want their eggs to arrive on their plate, for those less familiar with the kitchen it can be hard to navigate the correct words needed to communicate exactly how those eggs should be cooked when ordering at a restaurant. Here’s a look at the 10 more popular ways to order your eggs and what exactly it is that you are ordering when you say “sunny side up”. A fried egg with the yellow of the yolk runny and showing – the name is pretty descriptive in this instance. This has only been fried on one side (the bottom). 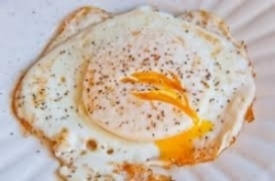 A fried egg that has been flipped and so one side is fully cooked while the other is lightly cooked. This results in a yolk that is runny and the egg whites can also be a little runny. A fried egg that has been flipped and one side is just a little less cooked than the other. The yolk is a little runny and the whites are cooked through. 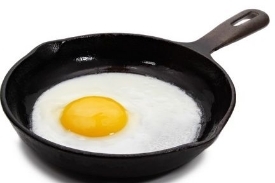 A fried egg that has been flipped and both sides are cooked equally. The yolk and whites are cooked through. Eggs that are cooked in its shell in boiling water. The yolk is fully cooked through. 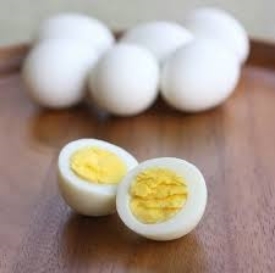 Eggs that are cooked in the same manner as hard boiled, but not as long leaving the egg white cooked but the yolk runny. Cooked out of the shell in simmering water or other liquid. Kind of like a soft boiled egg without the shell. Crack eggs in a mixing bowl and “scramble” together with a fork. Add milk – the more the fluffier and pour into a pan with butter to cook using a spatula to push the eggs into the center of the pan. 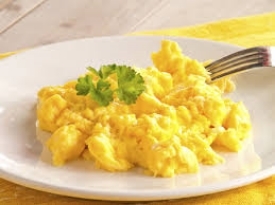 Take your scrambled egg and add some lagniappe! Our favorite combo is Louisiana crabmeat, mushrooms, onions and gruyere cheese – can’t beat it. Fold it over you have an omelet – leave it open faced you can call it a frittata. In general basted means liquid or steam is used to cook the egg white without flipping. So you crack an egg in your pan and use your spatula to spoon some of the butter/grease on the top to cook the top of the egg without flipping.